Scientists at ASU are celebrating their recent success on the path to understanding what makes the fiber that spiders spin – weight for weight – at least five times as strong as steel. 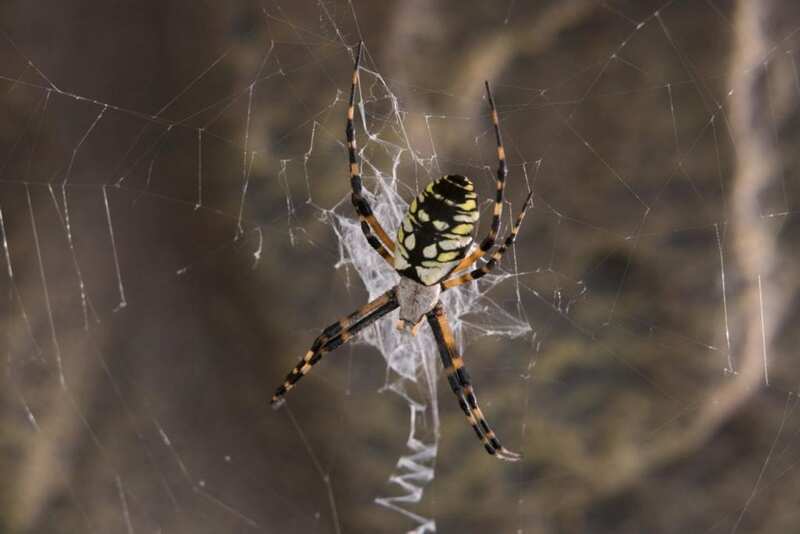 One of the fundamental mysteries of spider silk which has limited scientists' ability to produce artificial silks of the quality of natural silks has just been explained by researchers in ASU's School of Molecular Sciences in collaboration with a team from San Diego State University and Northwestern University. Their results, published online today in the Proceedings of the National Academy of Sciences (PNAS) is entitled "Hierarchical Spidroin Micellar Nanoparticles as the Fundamental Precursors of Spider Silks." "Spider silk has a unique combination of mechanical strength and elasticity that make it one of the toughest materials we know," says Jeff Yarger, professor in the School of Molecular Sciences in the College of Liberal Arts and Sciences. Spider silk is an exceptional biological polymer, related to collagen (the stuff of skin and bones) but much more complex in its structure. The ASU team of chemists is studying its molecular structure in an effort to produce materials ranging from uses in civil and mechanical engineering to artificial, yet biocompatible, tendons. "Everybody's familiar with silk, because they're familiar with silkworm silk. The silk trade has been around for a long time. But spider silk has a much larger variety in its properties," explains Yarger. Unfortunately, spiders don't produce silk in large quantities. "You can put lots of silkworms in a small area and genetically modify them to go from the larval state to a moth in 20-30 days. Spiders take longer. But let's get to the crux of it–spiders don't like each other. They eat each other," states Yarger. This of course eliminates the possibility of farming them en masse. Scientists have come up with ingenious ways to get around this problem. They have genetically engineered silkworms, E. coli, and even goats to produce spider silk. Unfortunately, while these organisms produce the same proteins that spiders make, they don't have the same mechanical properties as the natural product. They aren't as strong, for instance, or as flexible. This is where the current research comes in – Professor Yarger was joined by Dian Xu, Samrat Amin and Brian Cherry, all also from ASU, associate professor of chemistry from San Diego State University, Gregory Holland, and professor of chemistry from Northwestern University, Nathan Gianneschi. "In a matter of milliseconds, a spider can take a concentrated protein solution stored in its abdomen and pull this material rapidly through ducting and spinnerets to produce silk fibers," enthuses Yarger. "Understanding at the molecular level how spiders perform this complex process, and reproducing it in the lab, is the primary research objective within our group." The team employed a suite of magnetic resonance tools- NMR (or MRI) at ASU and San Diego State as well as cryo transmission electron microscopy at Northwestern University. They studied the precursor solution of the dragline silk of local Black Widow (or Latrodectus Hesperus) spiders. "We are now a step closer to a molecular understanding of this process," explains Yarger. We have discovered a hierarchical micellar nanoparticle structure based on the molecular organization of the proteins stored in the abdomen of spiders. This has led us to the first molecular level model of spider silk protein fiber formation and hopefully one step closer to lab production of spider silk protein fiber." This research was primarily funded by grants from the Department of Defense, Air Force Office of Scientific Research (https://www.wpafb.af.mil/afrl/afosr/), the US National Science Foundation (Division of Materials Research, Biomaterials) and ASU (Magnetic Resonance Research Center).